You asked for it, you got it—Enjoy! Well, I started here, and wound up, well, with an actual pillow! With that said, let the tutorialing begin! 1: Choose your fabrics: You'll need 3 solid gradation colors (I used 3 teals), and a variety of coordinating prints. This was a fabric challenge, so I used the prints I was given from Jay McCarroll's "Habit" line of fabric. Bee-you-teeful. 2. Cut a 14"-long strip from each of the 3 gradated fabrics. The widths can vary based on what you have lying around and which fabric you like the most; just make sure that once they are sewn together the block will be 14" across (or can be cut down to 14"). Sew the strips together and cut down to a 14" square. Sweet. 3. Cut out a clamshell template from template plastic or cardboard. It's easy to draw: Make a right angle; each leg of the angle should measure 2.5" long. Then connect the two ends of the angle with a curve. Cut it out on the lines. 4. Dudes, seriously, spray starch is the best. I recommend Best Press, or a brand that is specifically for quilting. You don't have to wash this stuff out, and it won't attract bugs. Spray starch and press your prints really well. They should be crispy. 5. Trace the clamshell template onto the back of each print four times and cut on the lines. After you cut out the shape, fuse a small piece of double-sided fusible web into the center of each. You don't need to fuse the whole thing unless you really want to. Go ahead and remove the paper backing before you start arranging them. Trust me. 6. You will need about 24 clamshells. Arrange them, overlapping one row onto the next, working from the center to the corner. Then, put your big ole' iron on 'em and fuse 'em in place. 7. Place a slightly larger piece of batting underneath the fused top. Now, quilt it! Be sure to stitch through each shell a few times. They'll fray around the edges, but that's cool. Right? Anthropology-esque. 8. Trim the pillow top down to 13.5" square. 9. For the backing, cut a 13.5" x 16.5" rectangle. 10. Fold under one short edge to conceal the raw edge. Topstitch the hemmed edge in place. Then fold the same edge down again (wrong sides together) until the rectangle is only 9.5" tall. Topstitch that newly folded edge, too. 11. Cut a second rectangle that measures 13.5" x 9". Fold one short end under twice about 1/4" each time to create a narrow hem. Topstitch this edge in place. 12. Place the narrow-hemmed rectangle right sides together with the pillow top, aligning the top edge of the pillow with the short raw edge of the rectangle. 13. Place the wide-hemmed rectangle on top of the pillow top and the narrow backing piece, aligning the bottom of the pillow with the backing rectangle's raw edge. 14. Pin all around the edges, and then stitch around all four sides using 1/2" seam. No need to leave a turning hole. Backstitch at the corners and where the backing sections overlap. 15. Clip the corners as shown, being careful not to cut the stitches. 16. Turn the pillow through the opening in the back, stuff with a 14" pillow form, and you're done! Loverly!!!! I've been wanting a little notepad to keep in my purse so that I can jot down project ideas when I have them, and to keep fabric swatches in case I should . . . happen to find myself in a fabric store with a buck to spend! Here's a little photo tutorial about how I made mine. You can make it as big or as small as you'd like - just make it small enough to fit in your purse! If you make one, I'd love to see photos! Took a few notes and made a few sketches of how i thought I could make the thing! Sketch and cut out your template from heavy cardstock or template plastic. You can see mine's about 4" tall. than your shape template, and 2 lengths of ribbon, each about 7" long. Sandwich a piece of interfacing between 2 contrasting pieces of fabric, wrong sides together. parallel stitching back and forth, but you could do any design you like. Cut any interior details out of your template. you want to be the front cover of your book. Cut them out. top piece of fabric and the interfacing. Quilt. Place the main shape template on top of both quilted rectangles. Cut out the shape from both. Topstitch around the outside edge of both. edge of both the front and back covers. and about 10 sheets of cardstock and 15 sheets of graph paper. and cardstock. I held mine all together with a binder clip. Sew along the left edge through the front cover and the paper layers. You'll have to use your handcrank to do this, but you can do it! This is what the bottom of the stack will look like after sewing. Mine's messy. Whatever. No one will ever see it! along the right edge. This should be easier to sew. Now put the book together and clip together with a binder clip. thread, whipstitch the book together along the left-hand edge, like a book. through the batting, and through the front cover. very much like my sketch, so I'm happy! Woohoo! All done! Pin in some swatches and get sketching! 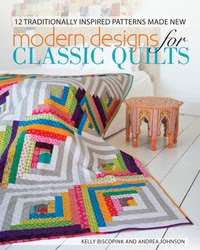 My local branch of the Modern Quilt Guild has undertaken a challenge! We each received six fat eighths of Jay McCarroll's line of Habitat fabric for FreeSpirit. I have been completely in love with Jay McCarroll since Season 1 of Project Runway. I was obsessed with his final runway show, specifically due to his awesome use of really saturated colors (mustard, teal, plum), and the quilted details he incorporated into his line. When he started designing fabric, it seemed like a really natural move. So, suffice it to say, I'm super-psyched about this challenge! That said, I NEED YOUR HELP! These are the fabrics I received for the challenge. I really love that orange and blue leaf print on the far end. But I just can't decide what to make! I've decided to make a pillow for my apartment, but I can't decide which of the below designs to make. And, my favorite, the zigzag design! Let me know which one you think I should do, and I'll post a photo tutorial so you can make your own . . . . as soon as I figure out how to do it!